Hey there!! 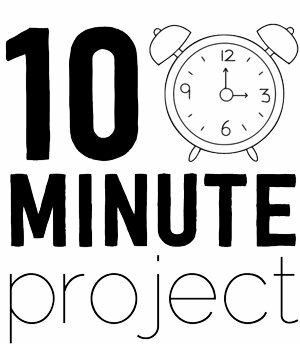 It’s 10 minute Tuesday again!! 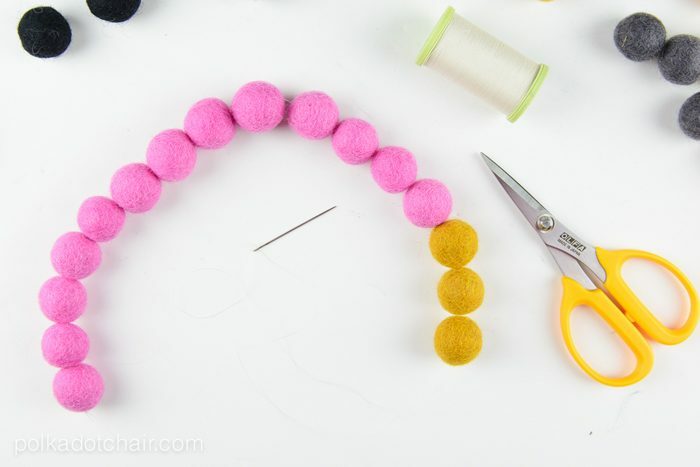 Today I’m going to share with you a tutorial to create this Felt Ball Necklace. 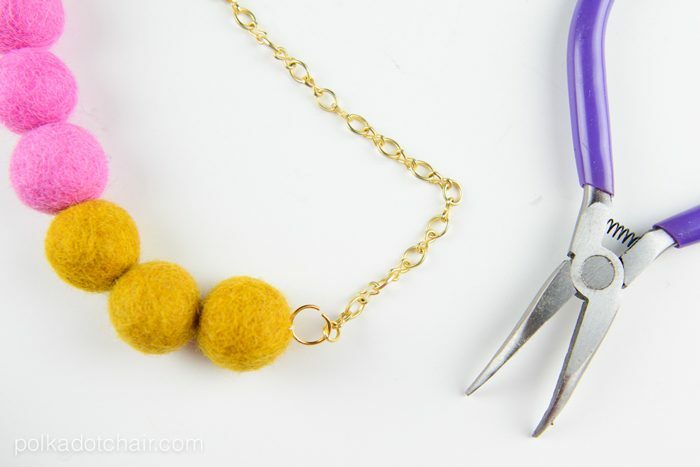 It’s really simple to make (hence the 10 minute project) and would be a great statement necklace. Most of my clothes are pretty simple. I’m more picky about how things fit than anything else, and I try to buy pieces that will stay in style for a long time. Nothing too trendy. If you look it my closet you will mostly find solid, striped and gingham shirts — and a million pair of jeans *wink*. Since most of my tops are pretty simple I try to dress them up a bit with unique and colorful jewelry. 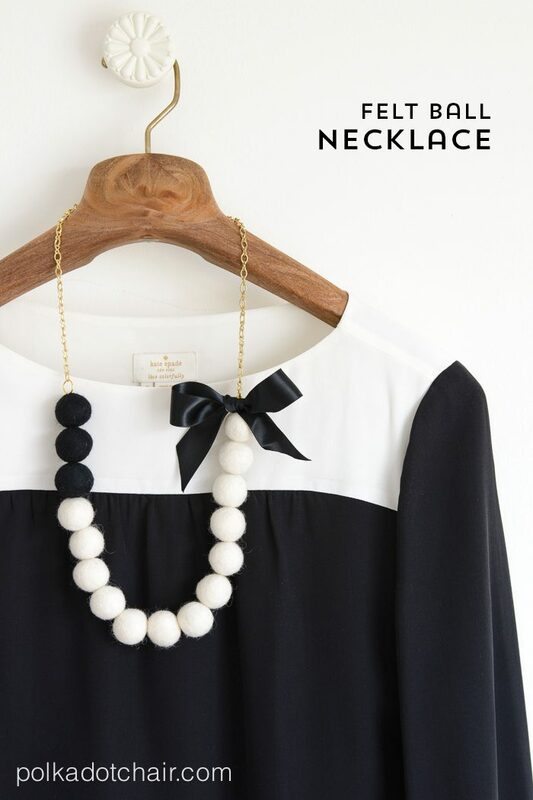 I love love love a good statement necklace. My philosophy on clothing is to buy pieces that will stay in style for a long time but still play around with current trends through accessories. That way I don’t waste money on things that will only be in style for a short time. 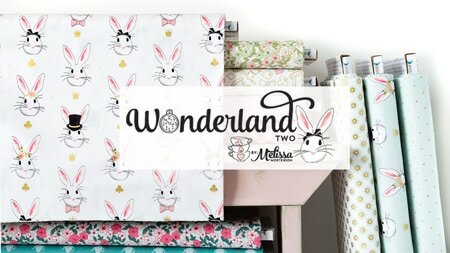 My sister has a business where she sells a variety of really unique and beautiful items. 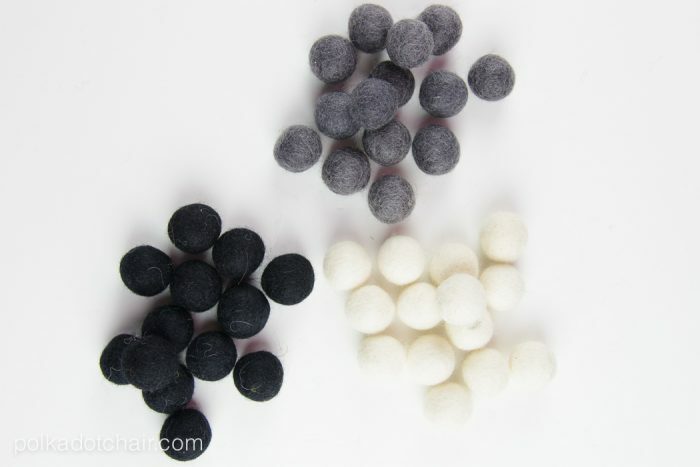 Some of those items are these wool felt balls. She sent me a package of them just for fun a few months ago. Ever since then I’ve had an idea for a jewelry project using them spinning around in the back of my head . 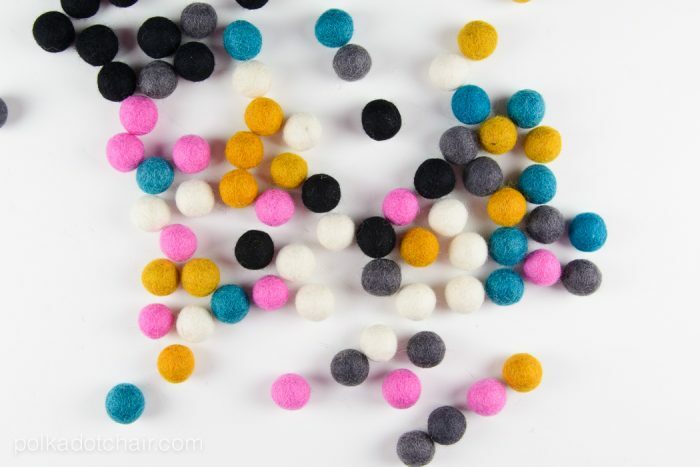 Since SNAP conference is this week I thought it was good time to sit down and use some of the felt balls to make a necklaces to take with me. I couldn’t decide on a color combo so I decided to make two necklaces. One black and white and one pink and yellow. 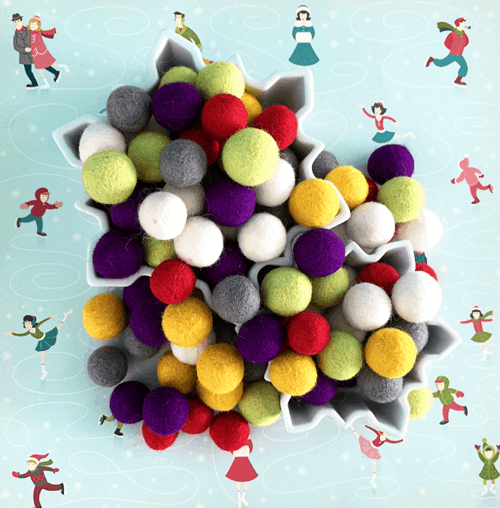 My sister sent me a big sampler pack of felt balls. So I began by sorting them into color piles to get ideas for the necklaces. 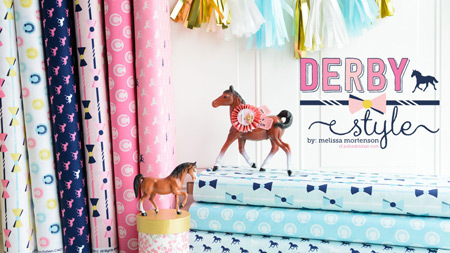 If you buy them on KidSteals they come color coordinated for you, I’m not 100% sure how many are in each package- you can ask them if you need. Next after you’ve decided on your color palette. 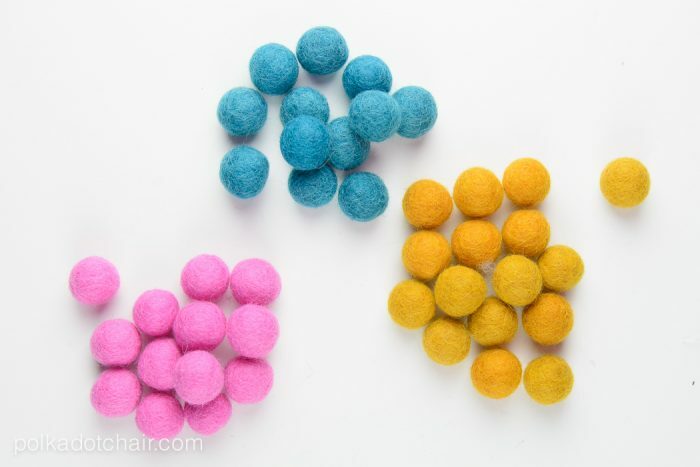 Line up the felt balls, I used 12 or 13 of one color and 3 of another color to get the color blocked look. You can mix and match as you like. Using your needle and heavy duty thread string the balls together leaving a lot of thread a the start and finish. 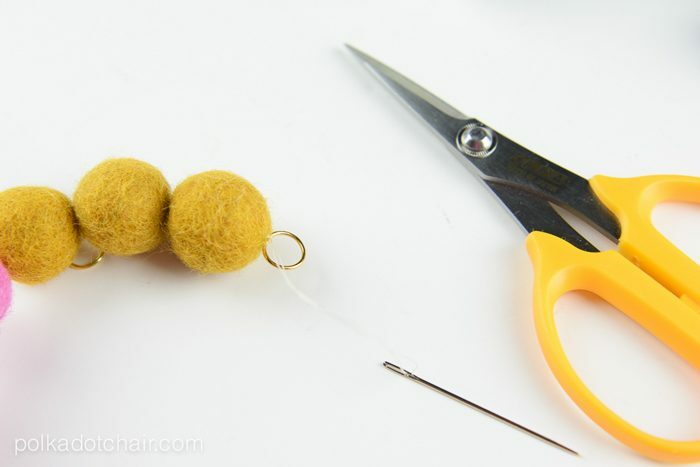 Before you cut your thread sew one jump ring to the end of the string of felt balls. Tie a knot and hide your thread in the felt ball. To do this just pull your threaded needle through the bottom ball and cut it flush with the ball. Repeat for the other end of the string of felt balls. 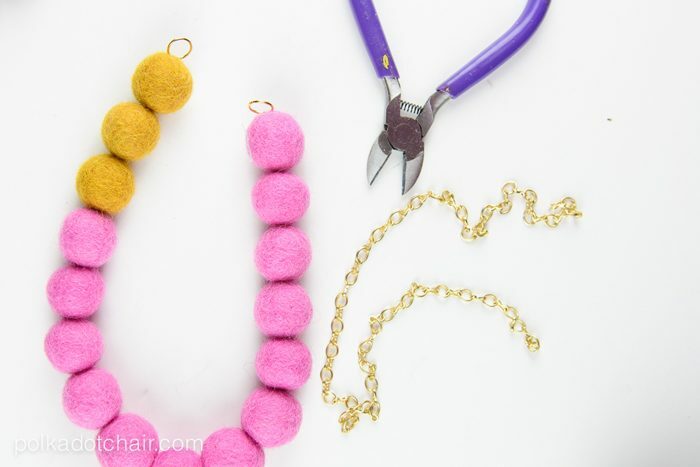 Using your wire cutters cut the jewelry chain to the length you want. I just tried on the necklace in the mirror to get a good idea of the finished length. Open up the jump ring with your needle nose pilers and feed the chain through. Close. 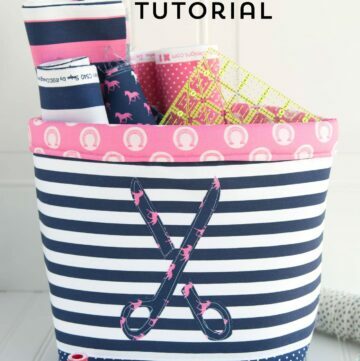 Tie your ribbon in a bow. Then sew to one of the jump rings. 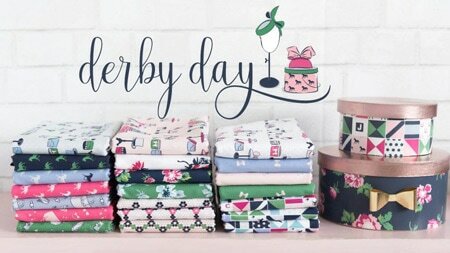 It will be announced on May 1st! Classy, yet fun and simple. ❤️ Thanks for sharing. Featuring you tomorrow at The 36th Avenue. Thanks Desiree!! Loved your talk at SNAP !! This is so cute and elegant at the same time! 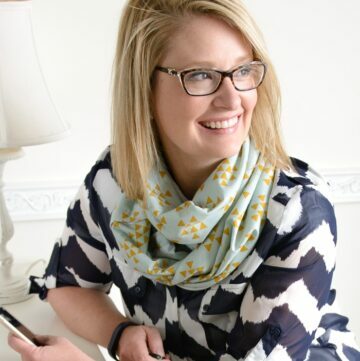 Thanks for sharing a beautiful project! 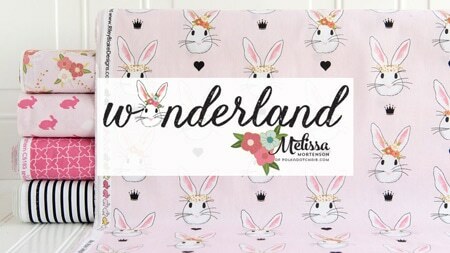 This would make an adorable necklace for the 18″ dolls. I already sewed them on a doll’s dress a necklace. 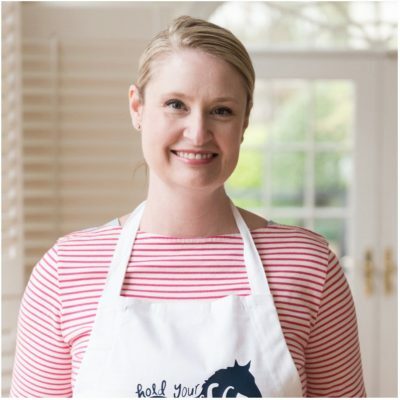 Hi Melissa, I love your felt ball necklaces and made one for myself and have had so many comments and requests for me to make people some. 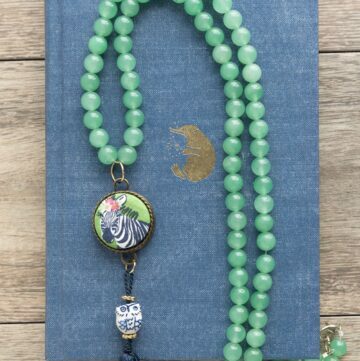 I am in England and wondered whether you would permit me to make and sell felt necklaces in the same style but different colours. I know you are copyrighted so I wanted to see if you would be happy with this. I look forward to hearing from you!